Where does the soul begin? 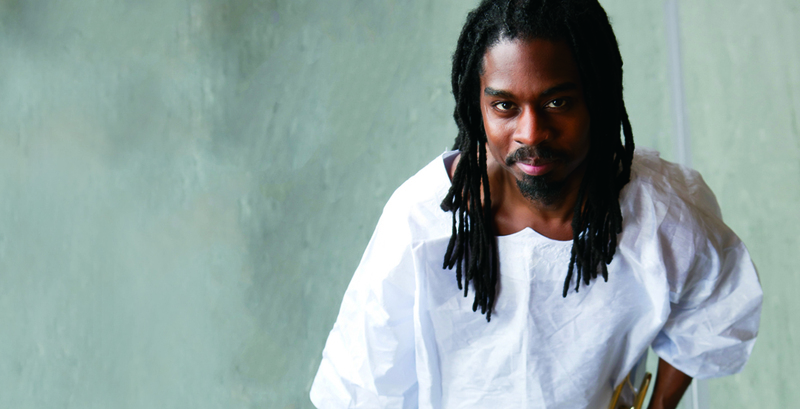 That’s the question director, composer, and musician Akili Jamal Haynes and his ensemble seek to answer through The Art & Soul of Chibuzo, a multimedia performance that takes place tonight, February 19, at 7 p.m. in Wellesley College’s Jewett Auditorium. The Art & Soul of Chibuzo explores the personal, spiritual, and cultural nature of a creative process through a unique blend of dance, drumming, music, spoken word, and theater from an African perspective. Chibuzo is an Igbo word that means "God leads." The performance, presented by the Office of Religious and Spiritual Life at Wellesley, is free and open to the public. Haynes, a virtuoso on trombone, trumpet, drums, bass, saxophone, and piano, found himself surrounded early in his career by internationally recognized artists like Wynton Marsalis, McCoy Tyner, Lester Bowie, and Illinois Jacquet and found inspiration in them. At Wellesley, Haynes will be joined by special guests including Grammy Award–winning vocalist Maya Azucena; musical legends Cecil McBee, Bill Pierce, and Yoron Israel; and Wellesley’s Yanvalou Dance and Drum Ensemble, with Yanvalou Director Kera Washington. The audience will be encouraged to participate and some of Haynes’ original lyrics will be made available so that audience members may sing along if they feel inspired to do so. Haynes will be joined by Adrienne Hawkins of Impulse Dance and Bass-Line Motion; De Ama Battle of The Art of Black Dance & Music, Inc.; the Jo-Me Dance Company, directed by Joe Gonzalez and May-Lisa Chandler; NIA Dance Troupe of Origination, choreographed by Shaumba Yandje Dibinga; In Divine Company directed by Aparna (Pampi) Das; Zucan; and visual artist Dey Hernandez. The Art & Soul of Chibuzo is presented by the Office of Religious and Spiritual Life at Wellesley as part of its Art & Soul program, developed to foster community exploration of spirituality and the arts at Wellesley. The event is cosponsored by the College’s Women’s & Gender Studies, Africana Studies, American Studies, and Music departments, along with the Treves Fund, and the Partnerships for Diversity & Inclusion at Wellesley College.